Thanksgiving week is finally here! Two out of three girls are out of school for the entire week. The youngest will be done on Tuesday. I love the little breaks because we get to see the girls around the house, a tad bit more. How about your kids? 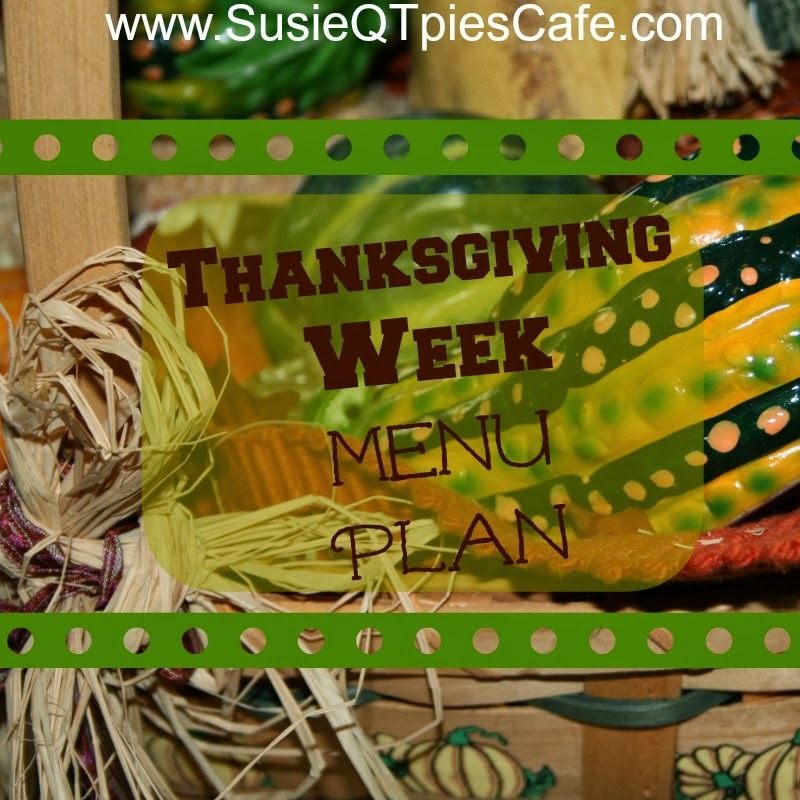 Here is a yummy traditional pineapple sweet potato recipe and Thanksgiving Menu plan ideas. Have a great week with your family and friends. 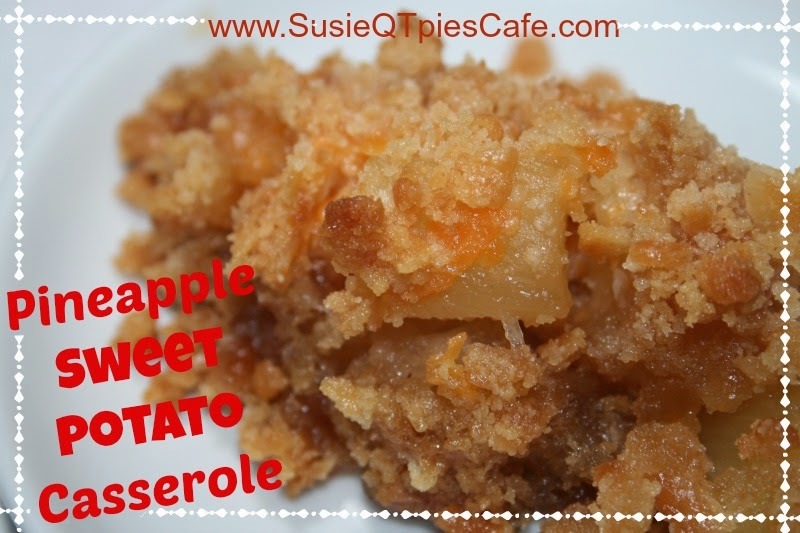 This is a sweet and savory recipe from my side of the family. I do not make it very often but it goes great with turkey or chicken. This is great for Thanksgiving because of the turkey. 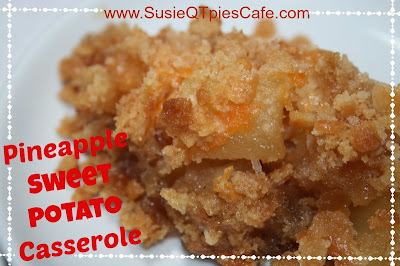 This is also perfect to make the day after any holiday meal if you have leftover sweet potatoes. 1-Drain pineapple (save the juice) and add to a bowl with the sweet potato. Mix together. 2-In another bowl combine flour, sugar and stir in 2 tablespoons of the reserved pineapple juice - drink the rest! 3-Add the flour mixture to the pineapple mixture. 5-Add all to a buttered casserole dish. 6-Make topping below and then bake. 1-Add crushed crackers on top of casserole. 2-Melt butter and pour on top of crackers. 3-Bake 350 degrees for 35 minutes or until top is golden brown. 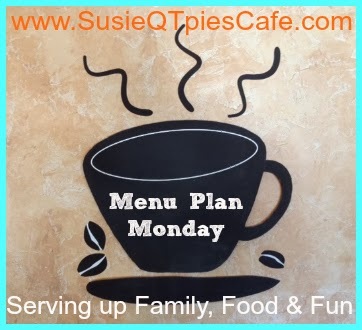 I hope you enjoy my Menu Planning Monday ideas. Feel free to go through the recipe box for other options. I don't know about you but I do find Dinner time menu planning easier in the fall because you can use your crockpot more! I've linked up at OrgJunkie's Menu Plan Monday but not hosting my weekly link party until after the Holidays! LOVE your dessert line up! Pumpkin cheesecake, lemon pie, and rhubarb is one of my favorites. I don't think I've make Chocolate Chip Pie before, but it sounds yummy as well. Thanks Deanna! We feed over 30 people so we try and have a variety!